Get yourself immersed in tranquility and a relaxed atmosphere with this beautiful new waterfall foot bath designed and manufactured by Conair! The bubbling action offers a soothing effect to your soles, while waterfalls massage the top side of your feet. For further comfort, this machine also comes with other attachments such as the Pumice stone, brush and soft-touch massage. In addition, it also has a LED lighting system giving you a relaxed atmosphere. For additional comfort, this footbath machine is also fitted with a non-slip foot feature that allows you to rest your feet in a good manner that is not strenuous. Made of durable plastic, the foot spa is made to last long. Has a three toe-touch push-button that activates the LED, heat bubbles and the waterfall on and off. Two pedicure attachments; pumice and brush. Has a massage plus leg rest point. Two foot rollers located on each side. They help in kneading of the feet slowly. Blue LED light on each side to help ensure a relaxed setting. Non-slip feet feature for added stability. For a complete massage, this machine produces powerful jet bubbles that bring about that soothing effect. Its heating mechanism allows for the heating of the water up to 85 degrees and still maintains it at that level until you finish the session. It is foot spacious in that it has the capacity to fit in up to a size 14-foot size. This allows its users to sit comfortably without straining at all. It is considerably lightweight making it very easy to handle and move around during use. The waterfall feature is very nice as it massages the top of the feet up to the ankle. It has different settings: waterfall system only, the heat or light or bubble settings and or both systems can work all at once. This footbath comes with several attachments making it heavy duty meaning it has a strong motor capacity. It is somewhat economical as it is not too expensive. Anyone can afford this machine regardless. With the heat, light and bubble setting the machine has, it is quite noisy. Using it at night when people are a sleep is not an option. The numerous vibrating effects also make this machine noisy. 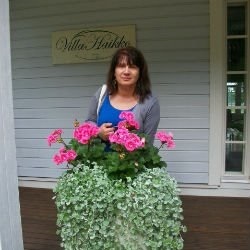 When it is filled with water, it tends to become very heavy making it hard to move around. Some customers complained that the machine did not retain heat for long periods after it is switched off. The Conair Waterfall Foot Spa is a stylish machine that will get the job done. It is not at the level of other footbaths in the market, but this machine has spa-like features that will definitely help you save those extra coins. It is affordable and it gives those people who cannot afford the expensive spa experience at high-end outlets, by bringing that experience right inside their homes. For a starter, this Conair Waterfall Foot Spa can be a great buy. Later on you can upgrade to high quality models. 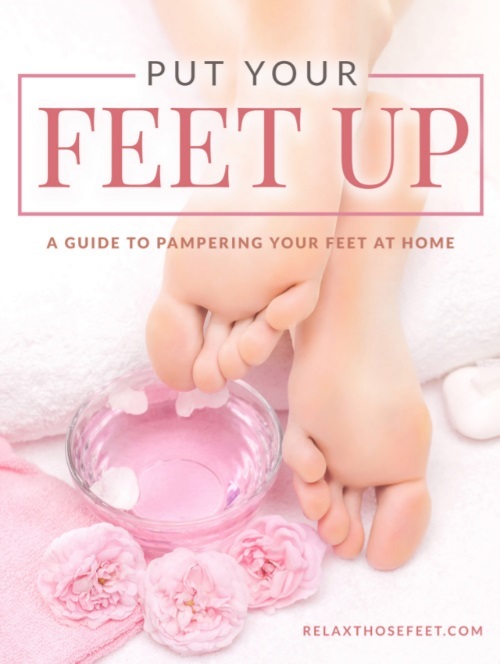 Lastly, when buying this footbath, you can also buy additional items such as Tea Tree Oil foot soak with Epsom Salts, that helps to treat Nail Fungus, Athletes Foot and even stubborn odor and Tea Tree Oil Foot Soak. They all come at cheap and affordable prices. The waterfall, heat, bubbles, LED lighting and massage rollers make it a worthwhile purchase for relaxing your feet. Each footbath is designed with its own features, some unique, some similar. When choosing between these things, customers can get it all wrong especially if they do not have good background information of what they have in mind. Comparing this machine to others in the market will help customers make the right choice. For comparison purposes we will compare it to two other footbaths such as the HoMedics FB 600 Pedicure Spa with Heat and the Orbeez Ultimate Soothing Spa. 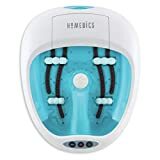 The HoMedics FB 600 Pedicure Spa with Heat has some good features that come with it; namely a vibration and bubbling massaging effect, four attachment pedicure tools such as pumice stone, brushes and wipes. It also features heat-boost power system that heats the water up to 95 degrees, and then maintains it at that level throughout its use and 4-pressure node rollers for kneading of the feet. It weighs in at just under four pounds. However, to benefit from these features, you will need to spend more than you would on the Conair Waterfall foot spa. For a soothing foot massage any day anytime, the Orbeez Ultimate Soothing Spa will definitely be a good choice for you. This footbath is unique in its own right in that it uses Orbeez Jelly beads that are wet and sticky. One can enjoy a cascading waterfall of Orbeez on his or her feet. This machine does not run on electricity, but runs on a AA battery mechanism. When buying it, this footbath comes with the Orbeez Jelly beads and Orbeez Sweet studio as its accessories. Its price tag is very cheap and its lightweight weighing in at only 5.9 pounds. If you are looking for some fun and a cheaper foot massage suitable for people of all ages, then this may be a good purchase. Give your feet a treat with the soothing massage of the Orbeez Ultimate Spa. Feel the cascading waterfall of Orbeez on your feet. With a built-in strainer, heating your Orbeez is easy. The larger foot area makes the Spa perfect for all ages to enjoy. 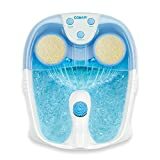 All three footbaths are great buys with excellent features and unique designs, but Conair Waterfall Foot Spa with Lights, Bubbles, and Heat is definitely the best buy of the three. It has an LED lighting system and a non-slip mechanism that the others do not have, making it a comfortable footbath machine. It also has a three push button with the ability to turn on and off the LED lights, Heat and Waterfall mechanism all at once. Unlike the others, it also comes with several attachments, which are compatible with it.